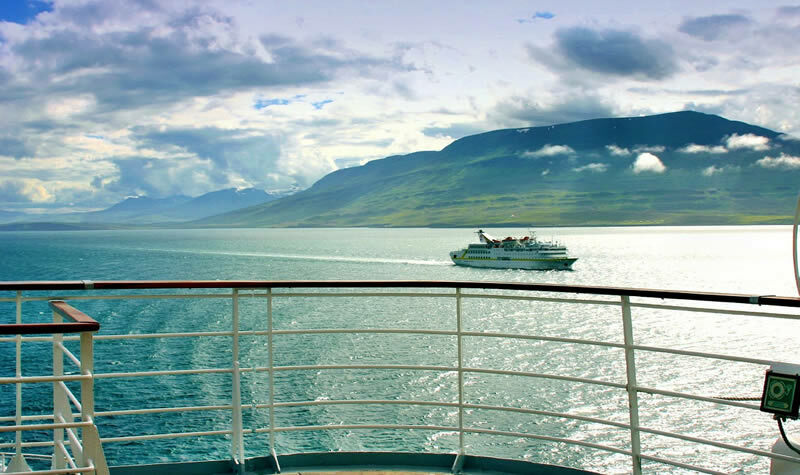 Cruises are a time to relax, unwind and enjoy yourself. Certainly, the last thing you want to be worrying about is the state of your bank balance. Once you’ve shelled out for the price of a cabin and other travel essentials, chances are there’s not much left in the kitty for spending on food, drinks and entertainment. No matter whether it’s a weekend cruise around the Mediterranean, or a longer transatlantic trip, stretching your spending money is crucial in ensuring you enjoy the best time possible aboard. Check out this list of 116 indispensable tips to make your spending money last for longer. Land a great saving on your next cruise by taking advantage of lucrative rewards and serious discounts when you book onboard. Many of us often walk straight past the sales office without giving it a second thought, but if you’ve got a few minutes to spare, it pays to enquire about booking a follow-up trip. Flexible deposits, onboard credit, no-risk bookings and big savings are just some of the perks available. Score the biggest savings when you book in wave season. The beginning of December and January to March are usually the main sales period for cruise operators, so they’re keen to offload surplus cabins at a fraction of the price of peak season, free upgrades and other incentives. It’s very tempting to go for travel agents offering the lowest rates, but try and stick to those with preferred status whenever possible. They tend to offer the best value bonuses and rewards, including onboard credit. Prices shoot up if you’re booking in popular months. If you’re travelling as a couple, you’ll definitely want to avoid the usual summer holidays and spring break periods. Cruising operators offer serious discounts to fill empty cabins during the off-peak periods, so if you’re flexible with dates, this is one way to really save. 5. Are You Eligible for Discounts? Not everyone pays the same for cruises. Ask your operator or travel agent about special discounts. Those of retirement age or military personnel are often earmarked for reduced rates. If you’re struggling to find a cabin that suits your budget, check to see how much cabins on lower decks are going for. Lower deck suites and cabins are almost always cheaper. It pays to do some research when booking your cruise. While there’s plenty of aggregator sites out there that can help you sift and sort through the best deals, good old fashioned detective work can pay off. Don’t neglect the traditional travel agent either. You mightn’t find too many still going strong on the high street, but these old school outfits are all too keen to compete with online. Just like hotels, you can expect to pay a premium for a view. While it’s tempting to splash out and pay the extra, you’ll be able to shave a huge chunk off your bill by picking an interior or inside cabin. After all, you’ve not got far too stroll for breath-taking ocean scenery in every direction. When your cruise price drops, ask for adjustment. When after final payment still ask for some refund. At the every least, you’ll be able to bag some onboard credit or a cabin upgrade. The prospect of a round the world cruise is a tempting one, but stray too far from home and you’ll be forking out huge sums of money. Look into nearby cruises instead that don’t trawl too far from home base. There’s lower carriage costs for starters, while you won’t need to shell out a small fortune just to reach your departure point. 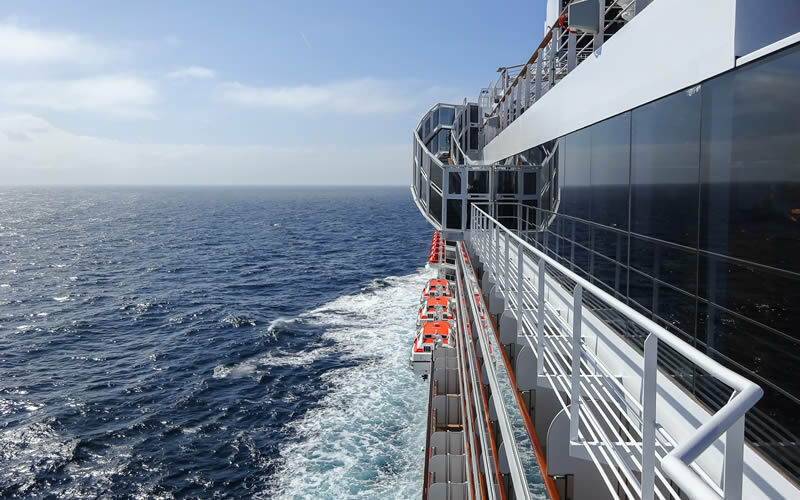 If it’s sea air, ocean views and glorious weather you’re after, look into transatlantic cruises to save money. With less stops in port towns and cities, these ocean cruises are often a cheaper options. You’ll also want to look into re-positioning cruises, where operators offer huge discounts on cabins as they relocate their ships to new departure points. If you enjoy travelling with friends, consider big group bookings to land some serious savings and perks. Groups with upwards of 16 individuals can often land a free cabin. Save yourself money by booking a cabin guarantee. Not only it’s cheaper but it will ensure you’re staying in the cabin class you’ve asked for, you also increase your chances of an upgrade. A price tag doesn’t necessarily mean you’re in for a better time. Save huge sums of money by going with a more budget friendly operator like MSC Cruises, Carnival Cruise Line and Costa Cruises. If you’ve got a fair distance to travel to your point of departure, chances are you’ll need to fly in to port. Plane tickets can be expensive, so consider flying a day or two in advance to yield serious savings. It’s not rocket science, but shorter cruises are cheaper than those more leisurely adventures. It’s quality over quantity, after all. If you’re a cruise regular and always book with the same TA, ask your travel agent or operator about extras and special perks. Whether it’s a free bottle of wine, onboard credit or complimentary connections, everyone loves a freebie. If you love cruising, consider becoming a shareholder in your preferred operator. Not only is it a great long-term investment, you’ll be able to reap the benefits of lucrative perks and bonuses. Depending on where you cruise, you might be able to make a saving with a resident discount. Particularly popular in places like Florida, these discounts can save you a lot of money for cruises departing from Florida for example. If you’ve got to cover some distance to get to port, it’ll probably work out cheaper to drive rather than fly. If you’re going away for a long stretch, book a one-way car rental so you don’t have to fork out for parking costs when you get there. New vessels are often more expensive to book a cruise on. Unless you’ve money to burn, avoid maiden voyages and ships that haven’t been in service for very long. Ask your travel agent about onboard credit. Many travel agents can package onboard credit into any cruise trip deals, so ask about the options available to bag yourself the best deal. Need to catch a connecting flight to your departure port? Cash in those frequent flyer miles to cover small plane journeys and shave hundreds off your overall trip cost. If you need a flight to reach your departure point, it can be easy to be duped into thinking a package booking will automatically equate to a saving. Always double check competitor websites to see if there’s a cheaper deal. You could save yourself hundreds! Found a great deal on a cruise package? Don’t be afraid to share the good news with friends and family. Most cruise operators offer lucrative bonuses and rewards for every successful referral. You should be able to pocket a tidy sum for every cabin booking that comes from a referral. Sometimes your referral reward will be in the form of onboard credit, other times it might work towards a discount on your booking. Planning on going cruising with the whole brood? Check to see what free ticket deals your cruiseline is offering. Often, any guests after the second booking are entitled to a discount. When these extra passengers are children, the bed and board is often completely free. A great way to save on a family holiday on the waves. The good old fashioned travel agent has a lot of competition nowadays. Give them a call on the phone or pay a visit to their office to talk in person and bag the best possible rates on cruising trips. Don’t jump the boat and make a booking at the first opportunity. Sometimes, the later you leave it to book, the more chance you’ll net big discounts and lucrative special clearance details. If you don’t want to worry about transfer costs, dinner money, drinks and the rest, consider booking an all inclusive cruise. The initial cost might alarm, but all those extra savings certainly add up. If you’ve got the time off work, considering booking a back to back cruise. You can save huge amounts on prices of follow-up cruises. There’s always room to haggle. Whether you’re booking through a high street travel agent or online, always argue the advertised rate and see how much you can save. Whether it’s moving departure dates around, or going for a different cabin grade, being flexible allows you to find cruising packages for much less than what you’re initially quoted. Even if you’re pining after a Mediterranean cruise, it can often be a lot cheaper to set sail elsewhere. The Caribbean offers the same great island hopping experience, with even bluer seas. Same enjoyment, very different pricing. Insurance thrown in with the package is often on the pricey side. Try and pocket third-party insurance deals where you can. You may already be covered for insurance, depending on where you’re travelling and where you’re travelling from. Don’t pay through the roof for something you’re already covered for. 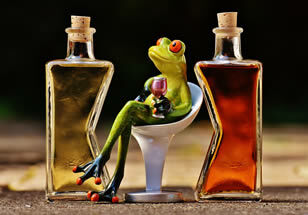 Many bank accounts and credit cards have extra benefits such as travel insurance. If your nearest departure port is pricey, consider cruising from somewhere farther afield. 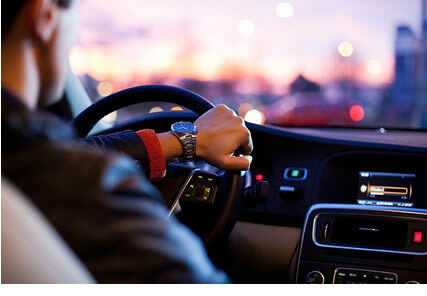 Sometimes a short rail journey or drive can mean you pocket huge sums of money in savings. If you’re travelling alone, don’t splash out a premium on a double room or suite. The added luxury is tempting, but you might as well save all that money to spend on yourself. 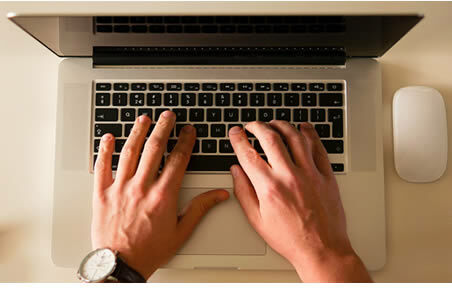 Keep yourself in the loop and sign up for email newsletters from your cruise line or travel agent. This way, you’ll ensure you never miss out on last-minute deals, big sale events, special deals and discounts. Childcare is expensive at the best of times. Some cruise operators offer free babysitting, some don’t. If you’re travelling with little ones, go for cruise lines like the latter. Often, older ships are a much cheaper option when it comes to booking cruising holidays. Don’t be tempted by flashy new builds and keep it simple instead. Those cruising for the first time can net great rates on their maiden voyages. Some cruiselines offer a special discount when sailing for the first time with them. Whether it’s the middle of winter or hurricane season, travelling out of peak can be a much cheaper way to cruise. If you’re looking to indulge, consider a spa cabin. Plenty of spa treatments will be included, saving you the extra cost of all those extras. Just because you’ve your heart set on a cabin, doesn’t mean it’s right for your budget. Have a look around to see what the other options are and the savings you can make. Bigger vessels can put people off, but the more passengers there are, the cheaper your cruising costs. You can pocket some serious savings after just a few trips. Most cruiselines offer returning passengers rewards such as onboard credit, free laundry, free internet, discounts on wine packages, free drinks, etc..
Look into cruise line credit cards. These operate in a similar manner to normal credit cards, with a ‘buy now, pay later’ approach to spending. Spending more with your cruise credit card could get you a free cruise. Finding your own hotel accommodation will almost always work out cheaper. It might take a few more minutes, but those minutes could save you a small fortune. Find the best deals. Many cruise operators will offer taxi transfers and shuttles from hotels to departure points, but these are often cost at a premium. Save yourself some serious money and book these locally yourself, freeing up your budget to spend on enjoying yourself. If you’re travelling a long way to ports for departure, an overnight stay the day before you set sail on your dream cruise can really take the edge off. Make yourself a saving and ensure you book hotel rooms as early as possible to avoid having to pay a premium. If you’re staying over in your departure port the night before you set sail, don’t spend a huge chunk of your budget on a room for the night. Shop around for the best possible rate on a room and forget the frills. It’s the cruise that’s the real highlight of your trip after all. Choose a third-party shuttle to get to and from port to save on the needless premiums charged by your cruiseline. Take a store of batteries, an extra charging cable and other camera supplies with you so you’re covered. Buying additional equipment onboard can be expensive. Pre-purchase packages for meals and spa services prior to departure can be cheaper when you book in advance. If you’re looking to set sail in the near future, don’t leave it too late to sort out your Euros and foreign currency. Avoid high commissions onboard and make sure you shop around for the best exchange rates on the high street before disembarking. Many shops and restaurants will accept credit and debit cards but it always pays to have actual cash to hand. Catching a connecting flight? Travel light to save on expensive baggage fees. Better still, don’t fly at all. Onboard medical centres can be incredibly expensive, especially if you haven’t invested in comprehensive travel insurance. 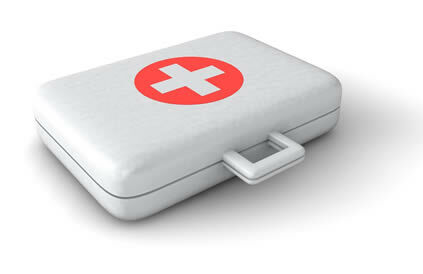 Bring a medical kit stocked with essential medication, bandages and other bits and pieces so you can respond to minor injuries and ailments yourself. Brace yourself for any eventuality and be very clear on what your cruising package includes and covers before departing. You’ll save yourself the hassle of any unexpected addition down the line. Be sure to bring all necessary essentials such as toothbrush, toothpaste, aftershave, sun cream, hairspray, etc.. Onboard shops have expensive asking prices. Even if you’re only enjoying soft drinks, all those trips to the bar can add up. To save yourself from denting your spending money, look into what drinks packages your cruise operator offers. Most of the time, all your core meals should be included in the price of your cruise fare. However, cruise ships always offer a range of alternative dining options. These venues are usually smaller with better standards of service, but you’ll also need to pay extra to enjoy them. If you want to mix it up and eat somewhere other than the mainstream, look into a dining package that lets you enjoy these speciality restaurants from time to time. Even if you’ve not looked into a dining package, speciality restaurants onboard tend to offer a few discounts for passengers during every journey. Keep your eyes peeled for any discounts that crop up during your trip and indulge yourself with something a little different to what’s being served in the main dining room. Most cruise operators offer some free refreshments such as coffee, tea, tap water, lemonade, iced tea, flavored waters, juices (at breakfast and not fresh squeezed) and hot chocolate (via instant packets). Everyone enjoys a drink when they’re away on a break, but if you’re not careful, those bar bills can really stack up. Whether it’s a quiet drink in your cabin, or a toast with dinner, it’s cheaper to bring your own wine than shell out for sky-high wine list prices onboard. Several cruiselines allow passengers to bring your own wine, carried in hand luggage on embarkation day. Mostly it will not be subject to a corkage fee if consumed in the cabin. When brought to restaurants, a corkage fee applies. Treat yourself to something different and make a small saving by checking out the daily drinks specials onboard. Not quite finished that bottle of red with dinner? Save any leftovers until your next meal, meaning you don’t have to shell out for a fresh bottle. Stay on the right side of crew and fellow passengers by limiting your alcohol intake. Everyone enjoys a glass of their favourite tipple on holiday, but you don’t want to be the problem drinker onboard. Almost every cruise hosts a captain’s welcome reception. Not only is this a great time to meet and socialise with fellow passengers and crew, there’s also plenty of free drinks and nibbles to go around. Dining with the captain of a cruise isn’t just a badge of honour, it can also mean you get to dine and wine for free. Feast on a premium pick of the dining menu and savour the best plonk going if you can bag a seat at the captain’s table. Remember to be friendly and courteous to the crew and your small acts of politeness can go a long way. It’s those magic 60 minutes drinkers every drinker loves. Grab 2-for-1 savings and huge discounts by taking advantage of onboard happy hour offers. Load up on your favourites to take with you. Many lines let you bring on a “reasonable” amount of bottled water and soda on embarkation day. Some require those drinks to be brought onboard in cans. Enjoy a large selection of fine craft beers, top-shelf spirits, premium cocktails and wines-by-the-glass. Often a discount is offered on beverage packages on embarkation day of the cruise. If you’re looking for free entertainment onboard, consider things like art auctions. You don’t need to bid to enjoy the atmosphere, and there’s plenty of free bubbly and wine to go around. If you enjoy your wine, consider buying a bottle. It can often be cheaper than buying multiple glasses. When it comes to dining onboard, stick to the mainstream restaurants and eateries. 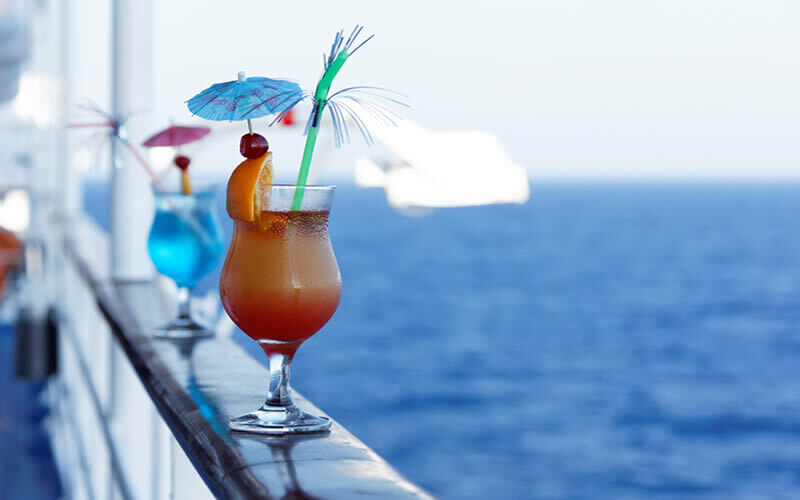 Beverage packages can sound very appealing on paper, but cruise operators are always out to make money and price these to cover their losses on the biggest drinkers onboard. 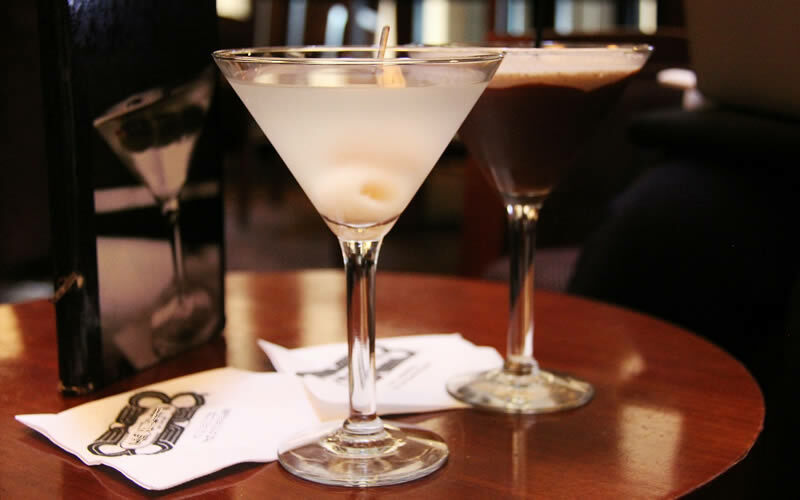 Make the most of happy hour instead. Every cruise is different, but many companies provide free access to the onboard sauna. If you’re worried about spending too much at the spa, this is a great way to relax and unwind without spending a penny. Many cruiselines mightn’t break out their best rates on spa days and treatments until later in the cruise. Patience can really pay off. Some cruises offer free internet access, but others charge for the privilege. Instead of paying through the roof for a second-rate web connection, use free data from your mobile plan instead. Failing that, wait until you’re ashore and track down cafes and coffee shops with free wireless networks to stay in touch with friends and family back home. Spa sessions and health and beauty treatments are a great way to unwind, but they can be a costly way to idle away a few hours when you’re onboard. A trick is to save your cash until you come into port, then seek out much more affordable options ashore. Don’t be tempted into paying for photos snapped by someone else. If you’ve got a half-decent cameraphone, you can take quality pictures yourself. Failing that, ask a fellow passenger to snap a memento of you and your travelling companions. Laundry and dry cleaning services can be incredibly expensive. Save yourself a pretty penny and clean your own clothes. You might luck out and grab a great lunch for next to nothing on the mainland, but if you want a surefire way to save on filling your belly, make sure you’re back at the ship for the lunch hour. 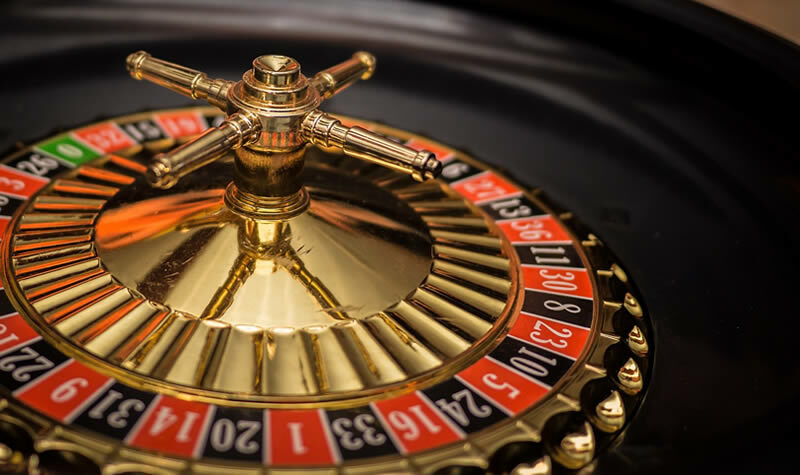 The onboard casino can sometimes provide irrestible, but if you want to make your spending money last, the roulette wheel and slot machines should be avoided at all costs. If you’re heading out on a longer cruise, a free laundry service or self-service laundrette is a huge plus. 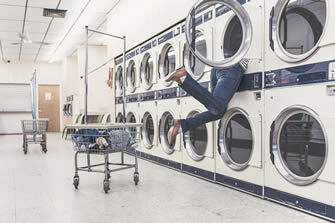 Check to see if your company offers a full service, or whether there’s a self-service laundry room available onboard. Making phonecalls from onboard can be costly. You’ll also want to avoid paying too much in data premiums while you’re away from home soil. Most cruiseships have their own library. Save money at the bookstore in port and check out one of the books in the library. Don’t let seasickness ruin your trip. Ask about free medications at the reception desk to help you overcome this common complaint and get back to enjoying your trip. Look into available laundry packages to save money on keeping your clothes crisp and clean. Also check to see if any dry cleaning services are included in the price. While surfing the net while onboard can be costly, you’ll almost always have free and ready access to the cruise operator’s own website. Browse to see which content is free, while also putting aside some time to check for the latest onboard deals and potential savings for future cruises. When you’re on holiday, it can be tempting to be generous when it comes to tipping waiters, cab drivers and bar staff. By all means, feel free to tip a fair amount, but don’t overdo it! If you’re on a diet, or in the midst of a workout regimen, it’s tempting to pay a premium for a personal trainer to carry on the good work you’ve started at home. Resist the urge to splash out on personal trainers and private classes and take advantage of the free fitness centre onboard instead. 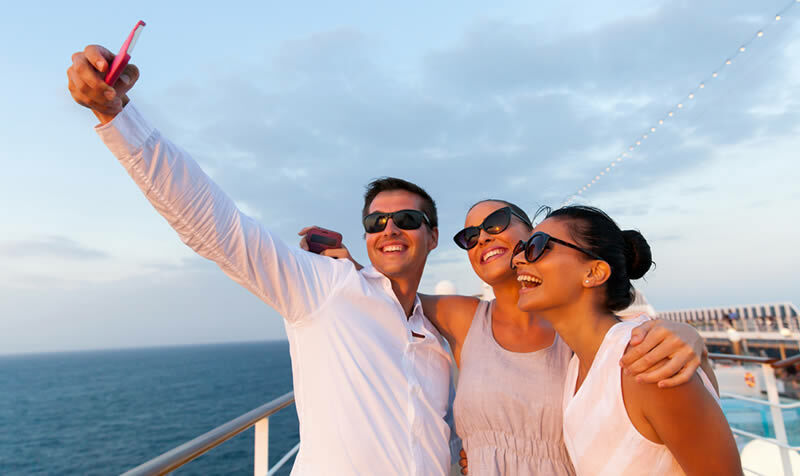 Whether it’s before you set sail or during your cruising adventure, making friends with fellow passengers is a great way to make your trip more pleasurable. What’s more, it also opens up a whole world of saving opportunities. Buddy up with fellow passengers and make a huge saving on shared taxi rides and service costs throughout the duration of your trip. Gift shops on ship will always charge a premium. Buy local and yield a saving when you’re on land. You’ll always be able to say the gifts you buy are bona-fide mementos from wherever you lay anchor for the day. Avoid splurging on extras and things you don’t really need. You’re on holiday after all, everything else is just an unnecessary luxury. If you’re tight for cash, write out a budget before you travel and stick to it. Keep track of your spending day by day if you need to. Those little things can be expensive and little perks can tally up to a small fortune. Always opt for the cheaper alternative, even when it’s a little more hassle, and you’ll save yourself hundreds. 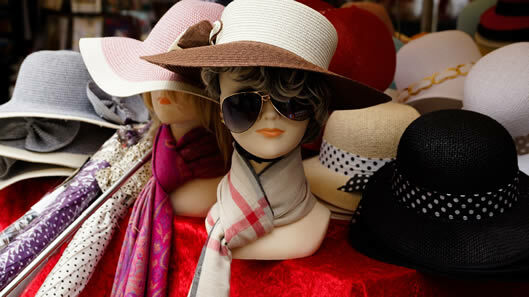 Many onboard shops will be trying to clear their stocks on the last day of a cruise. If you’ve left it until late to buy gifts for family, use the last day of your cruise to take advantage of knockdown prices. When we’re enjoying a cruising vacation, sometimes the last thing on our mind is the next one. However, now’s the perfect time to ask about future cruise deposits and potential savings if you’re planning on sailing with the same operator. Cruise operators are always trying to capitalise on you being in the holiday mood. Avoid shelling out for souvenirs and sky-high gifts. Avoid the sailaway drink and say no to souvenir glasses. A sailaway drink often include a souvenir glass, which costs extra. Whatever you do, don’t miss your return journey back to port. 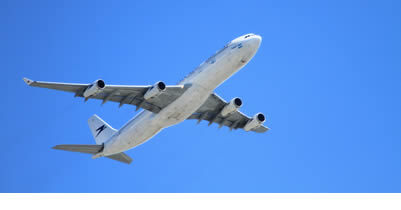 Last-minute flights to the next port could clear out your savings account! 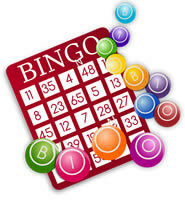 Bingo isn’t just a cheap onboard entertainment, the prizes can be incredibly lucrative. Whether it’s free onboard credit or future cruise tickets, the big winners can walk away with an impressive booty! Like bingo, onboard raffles can offer some great prizes for you to capitalise on while you sail. Even if it’s as simple as a free bottle of sun lotion, make sure you know what freebies your ship is offering. Cruise casinos like to look after their best players. Make sure the casino knows who you are, you could see yourself rewarded for your loyalty. Sometimes, room service can work out cheaper than sinking a bottle at the bar. Browse the menus and price list to make sure. For much of your cruise, onboard spas and salons will charge highly. Resist the urge to splash out on premiums and wait until your ship docks at port for the best savings. You’ll also find great savings on spa treatments on embarkation day. If internet access isn’t included in your package, be cautious about your usage. Wait until you reach shore and use free WiFi at cafes and coffee shops instead. 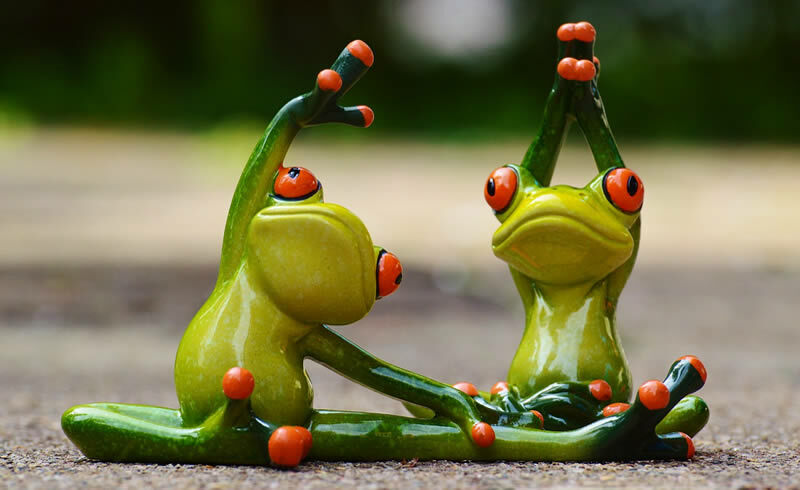 Onboard classes like Pilates, yoga and spinning or other entertainments like wine-tasting events or behind-the-scenes tours can be pricey. Make your own fun or wait until you get ashore to unwind. Cut your own holiday footage from phone videos and photos. Buying them from the ship can be incredibly expensive. We all love our favourite brands, but these can be expensive onboard. Ask about local alternatives to your favourite food and treats and pocket a saving. Cuiselines charge for branded ice creams such as Ben & Jerry’s. On the first day cruise lines will let you use cash to fund your onboard account instead of a credit card. Choosing cash can help to keep your account spending under control. However if you decide to use cash for onboard purchases, you will be asked to make a deposit at check in otherwise you cannot make any purchases. You can deposit as much money as often as you’d like throughout the cruise. One of the big draws of cruising are the regular shore excursions to exotic destinations and the most fascinating cities, but avoid signing up to too many offers from your cruise operator. Not only will you have to pay a premium for the privilege, you’ll be tied down to someone else’s schedule. Booking excursions yourself is not only cheaper, it lets you explore port cities and stopovers at your own pace. Don’t leave it until the last minute to decide on excursions. If you’re keen to explore plenty of sites and attractions, consider an excursion package with multiple trips offered at a group price. Excursions to the mainland are all well and good, but they’re often short and kept to a tight schedule. Stay onboard instead to make the most of your cruising time. Once the crowds have cleared out, you’ll also have more room to roam and make use of the amenities. Look up your cruise line’s list of shore excursions. 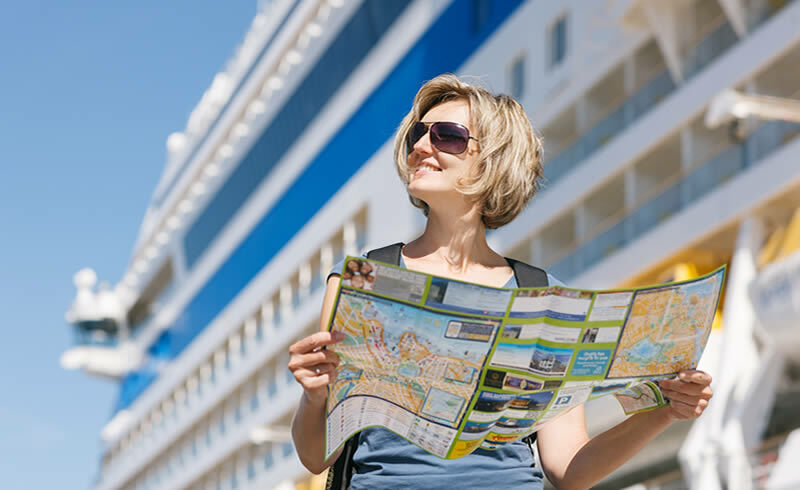 Many cruise lines offer a discount of 20% for reserving tours in advance through their websites. 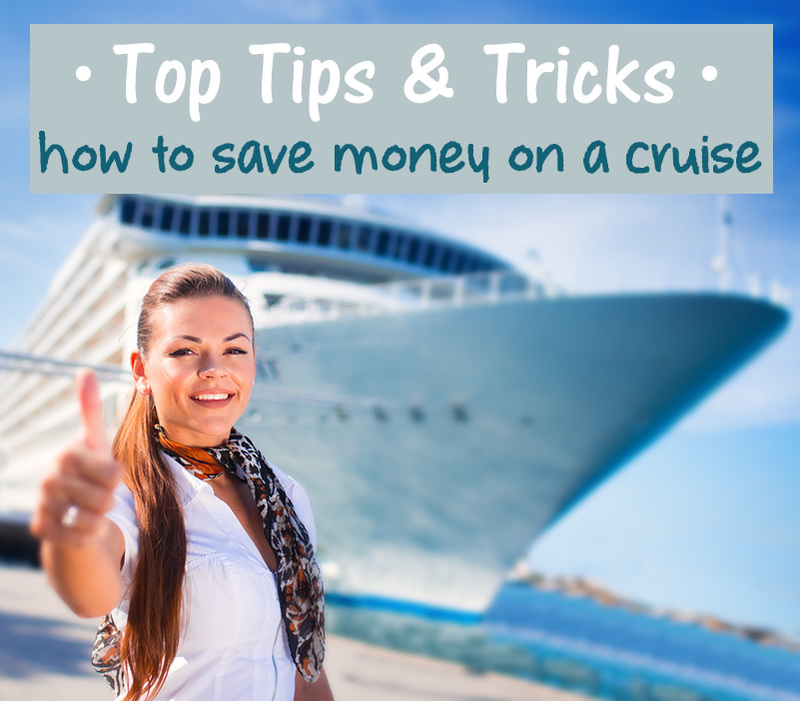 Now you’re stocked up on advice on how to save while holidaying on the waves, you’ve no excuse for blowing your budget before you reach your final port destination. Take your time and enjoy your holiday on the ocean, never spend more than you have to, and get the most out of your cruise operator and take advantage of all the freebies and perks already on offer to you, completely without charge.